The Black Mesa neighborhood within Las Campanas presents an exciting new offering of homesites. Containing 25 – larger, estate sized, mountain vista properties. Build the home you have always wanted in the serenity of our Southwestern paradise. 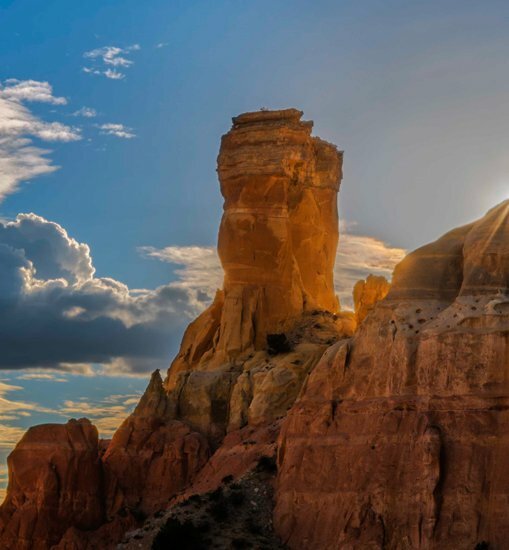 With 44 acres of property available Black Mesa has been designed for the homeowner that wants as much space as possible to enjoy our mountain views, the spirit of Santa Fe and our world-class amenities. Overlooking the sweeping mountain vistas of the Sangre de Cristo and Jemez Mountains, our new Black Mesa neighborhood offers a unique collection of homesites boasting the largest lot sizes in the best section of the Las Campanas property. With awe-inspiring mountain views and centrally located to our finest amenities-you will be able to build the home of your dreams while enjoying our award-winning Jack Nicklaus Signature golf courses, the 46,000 square foot Hacienda Clubhouse, a peerless Equestrian Center and the Fitness & Tennis Center, which includes a luxurious spa. Black Mesa includes 25 homesites spread over 44 acres. The views from every site are exceptional, including long range mountain views, as well exquisite views of our Jack Nicklaus Signature golf courses. The minimum size home in this section starts at 2,000 sqft, with lots ranging from 1.02 – 2.58 acres. The property contains a centerline crest that rolls down in both directions off the roadway, creating dramatic unobstructed views. Interested in learning more about BLACK MESA? Fill out our form to receive additional information and one of our sales associates will be in touch with you shortly.